Xbox could have gone so many ways with this limited edition giveaway. Model it on a castle, or a sigil, or a city. Perhaps just a custom colour scheme with some nice graphics on them. But no, they had to do more. 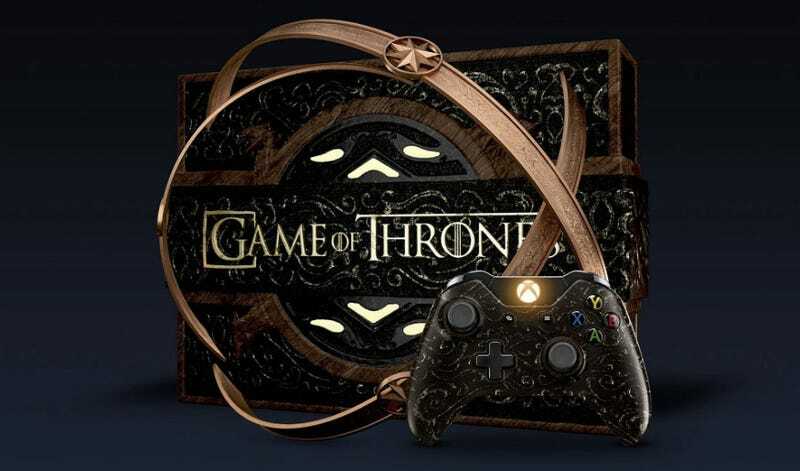 So here we have one of a handful of limited edition Game of Thrones-themed consoles (to be given away in a competition run by Xbox France), with its exterior based on...the show’s credits. Meaning not only does it look weird sitting still, but it’s terribly impractical for an entertainment unit to boot.